The British have recently announced that they are going to keep interest rates a bit lower therefore GBPUSD will remain under pressure. 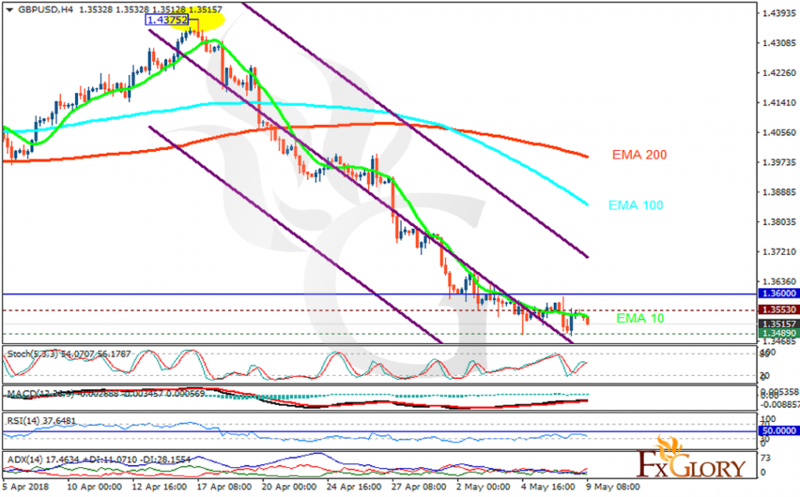 The support rests at 1.34890 with resistance at 1.35530 which both lines are below the weekly pivot point at 1.36000. The EMA of 10 is moving with bearish bias in the descendant channel and it is below the EMA of 200 and the EMA of 100. The RSI is falling towards the oversold area, the Stochastic is moving in middle ranges and MACD line is above the signal line in the positive territory. The ADX is showing sell signal. Short positions are recommended towards 1.34.